When I saw this large format menu in the shop, I had to touch it to be sure there wasn’t a roll of material at the top. That’s how realistic this menu is! It is actually printed on a flat piece of 3mm Sintra. It’s absolutely amazing the effects you can create these days. In the right hands, Photoshop makes you an illusionist. 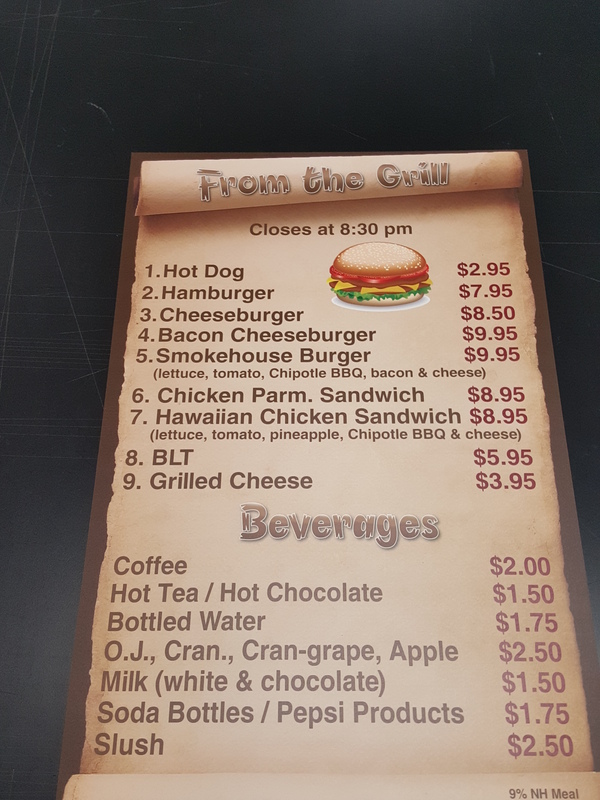 While the trend is to digital signs, a menu like this is durable, waterproof, and about $60. As long as your prices don’t change a lot, you can do signs like this for a lot of years before you eat up the $1500 or more that a digital sign costs. They don’t use any power, either! This entry was posted in Flatbed printing and tagged large size menus, photoshop effects, plastic sign printing, poster menus. Bookmark the permalink.